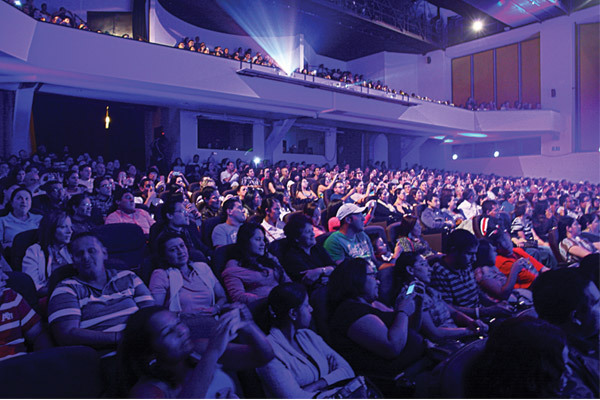 San José and its nearby surrounding areas offer band, choir and other performing arts groups a diverse array of state-of-the-art venues for exceptional performances. A performing arts trip abroad is an excellent way to expose students to different cultures. San José, Costa Rica is a city rich with tradition and cultural significance. 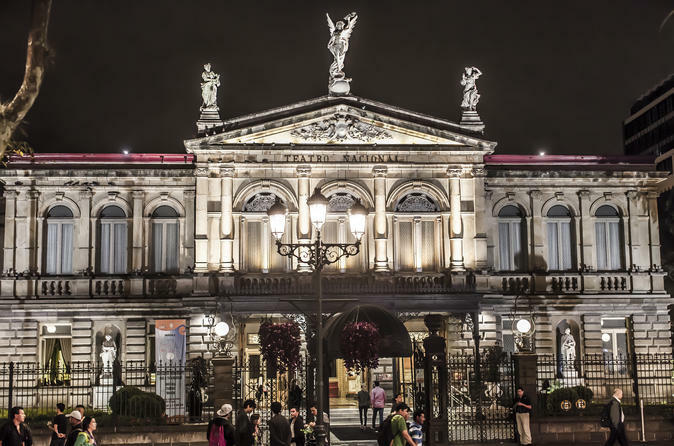 From its mouthwatering gastronomy to its striking natural beauty, Costa Rica’s capital city is an up and coming destination that traveling performing arts groups won’t want to miss. For band, choir and other performing arts directors who have never visited San José, finding an ideal venue can be a strenuous task. Fortunately, we’ve done the work for you and highlighted San Jose’s top state-of-the-art performance venues, ranging from outdoor amphitheaters to prominent historical buildings. El Torreón Centro de Eventos. Credit. Without a doubt the finest and most diverse space for band and choir groups in San José is El Torreón Centro de Eventos. With six different spaces available for rent, El Torreón provides student groups the most options when choosing a performance location. The largest and most modern space within El Torreón unsurprisingly has the best technology and equipment for student groups. Teatro Auditorio Nacional seats 663 guests and offers state-of-the-art sound equipment and acoustics. Established in 1998, it remains one of the theaters with the most annual occupancies in Costa Rica. Teatro Auditorio Nacional is deemed the most technologically advanced theater in the country, including air-conditioning, audiovisual equipment and projection mapping systems, while providing opportunities for audio recording, HD filming and live streaming. Other rental spaces within El Torreón include Salón Israel. With the capacity to seat 150 guests, Salón Israel features audiovisual and lighting equipment, professional filming options, food services and Wi-Fi. Crea+ is an ideal space for small private concerts and performances with the capacity to seat 100 guests, featuring advanced audio and video technologies and an LED lighting system. To inquire about rental spaces at El Torreón Centro de Eventos, click here. Costa Rica’s tropical climate is one of many reasons it attracts millions of visitors per year. Its average warm temperatures, lush rainforests and river valleys make it an ideal vacation location. While the country offers student groups a number of indoor event spaces for band and choir performances, INBioparque Educational Center Amphitheater in Heredia just 20 minutes outside of San José provides the opportunity for performance groups to bask in Costa Rica’s unprecedented natural beauty. The 300-seat covered outdoor amphitheater situated within this ecological park offers a unique acoustic setup quintessential for any ensemble. The theater is walled with different types of Costa Rican forest representing the country’s lavish biodiversity, including rainforest, pre-mountainous forest, wetlands and dry forest. Facilities within the park feature two restaurants, a souvenir shop, coffee shop, playground, ample parking and wheelchair accessibility. After performances, recitalists can enjoy a guided group walking tour throughout the park at discounted rates for students from Friday to Sunday at 9:00 a.m., 11:00 a.m. and 2:00 p.m.
INBioparque Educational Center Amphitheater is available for performances Fridays from 8:00 a.m. to 5:00 p.m. and Saturdays and Sundays from 9:00 a.m. to 5:30 p.m.
One of San José’s most popular tourist attractions, the National Theater of Costa Rica (Teatro Nacional de Costa Rica) is a stunning neoclassical arts complex in central San José, considered to be the finest historical building throughout the capital. 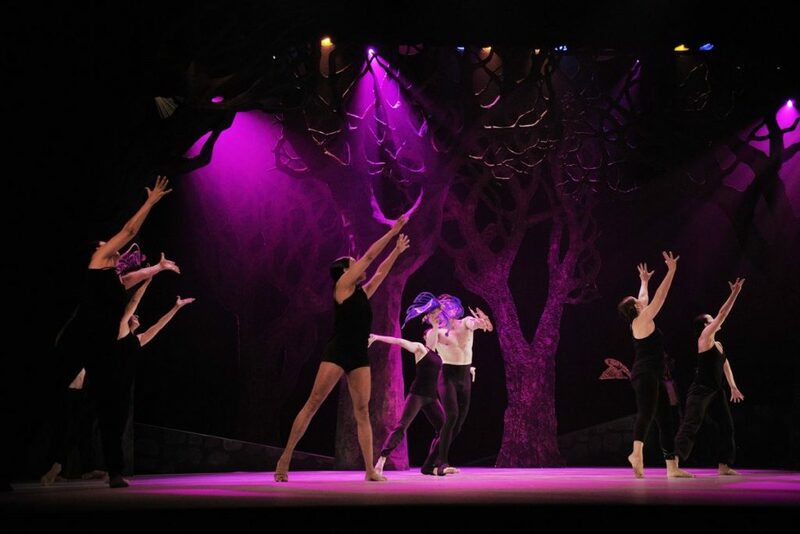 The theater strives to strengthen and diversify the supply of performing arts through the continuous improvement of all areas of the institution, with the goal of reaching wider audiences that value the historical heritage of the National Theater of Costa Rica. When walking through the theater’s front doors, performance groups can gaze upon the building’s lavish furnishing and décor. A historical monument, the National Theater of Costa Rica was once named one of “10 Great Ceilings around the World” by USA Today. While this may be the most desired venue for performance groups, it is also the most competitive. In order to rent out the theater, a limited selection process is required. Band and choir directors must fill out a form to request permission to hold an event. After filling out the form, directors must then submit it to the Office of Public Entertainment. For more information on the selection process for venue rentals, check out the theater’s public shows procedures page. If selected for an event, student groups will truly be given the opportunity for an unforgettable performance of a lifetime in one of San José’s most prominent historical buildings. Situated in the Costa Rican-North American Cultural Center (Centro Cultural Costarricense Norteamericano), Teatro Eugene O’Neill (TEO) is known for its diverse artistic performances. It is located in the heart of San José nearest to the Ambos Mares train station. The 307-seat theater features three dressing rooms, a modern Bose sound system with supreme sound quality, high-tech lighting systems with digital consoles and air-conditioning. TEO guarantees flawless hearing and visibility from any angle of the theater. Teatro Eugene O’Neill was named after the famous North American playwright and Nobel laureate in Literature; it is an ideal space for band and choir performances, artistic presentations, seminars, concerts, awards ceremonies and conferences. To reserve TEO for student performances, send the theater an e-mail. Teatro Popular Melico Salazar was inaugurated in 1928 by Spaniard José Raventós with the dream of creating a performance space for zarzuelas and operettas. Playwright and architect José Fabio Garnier Ugalde was chosen to design the building. In 1981, the Ministry of Culture, Youth and Sport bought the theater for renovations, and with its reopening in 1985, became a recognized Specialized Cultural Institution by the state of Costa Rica. The theater has five spaces available for rent, including the main stage, lobby, café, conference room and the Dinorah Bolandi Gallery. The main stage seats 978 guests and has exclusive seating for persons with disabilities. Teatro Popular Melico Salazar offers guests the highest quality audio, visual and lighting equipment. For reservation inquiries, band, choir and other performing arts directors must e-mail requests directly to the theater.